I hope everyone has had quite the relaxing weekend! I know I did with sleeping an extra hour (it makes a world of difference!) and making my own schedule. It was a rather hot and dry weekend though and I probably spent 90% of it inside. It’s not my first choice of doing but even though I am from Florida I do not like the heat! I did take my dogs for a hike on Saturday which was so fun and it got them out of the house! Anyways, yesterday on my day off from the store my house smelled like banana bread and chocolate chips throughout! It brought me back to the times I made banana bread with my mom when I was younger (I still do this!) and I had to stand on the stool to reach the counter. Enough with reminiscing about the good days (or fun days!) 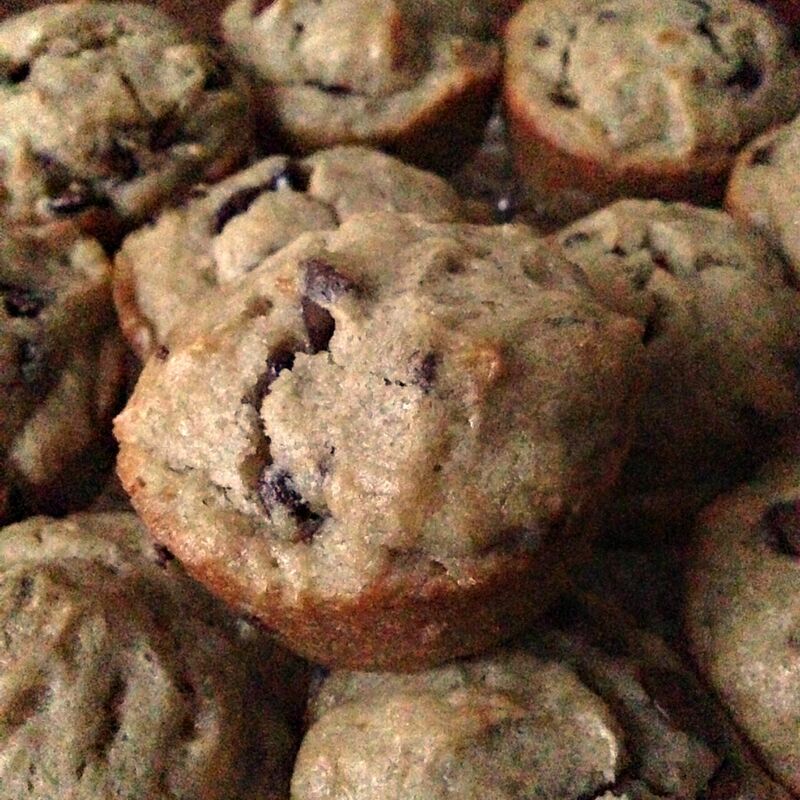 it’s time to talk about these beautiful muffins! 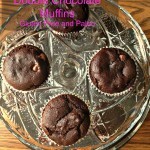 Super moist and yummy these muffins are delicious and are perfect with a glass of milk at night or a cup of coffee in the morning! 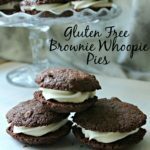 They are best warm and gooey thought so 10 seconds in the microwave should do the trick! 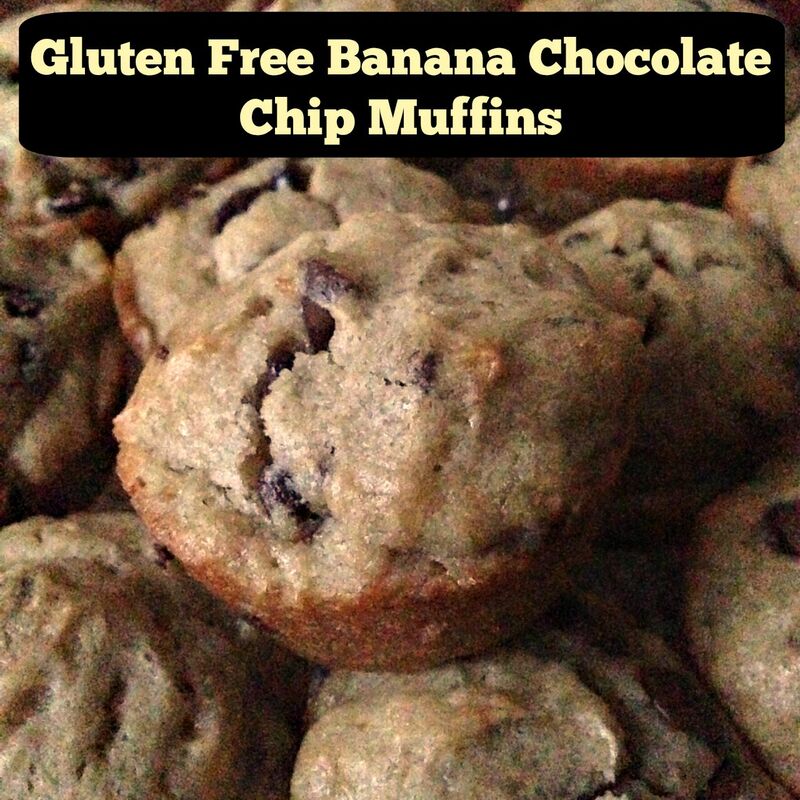 I have been making these muffins now for at least 2 years and only recently decided to make them gluten free because that fits into my diet better and it doesn’t hurt to eat gluten free occasionally too! 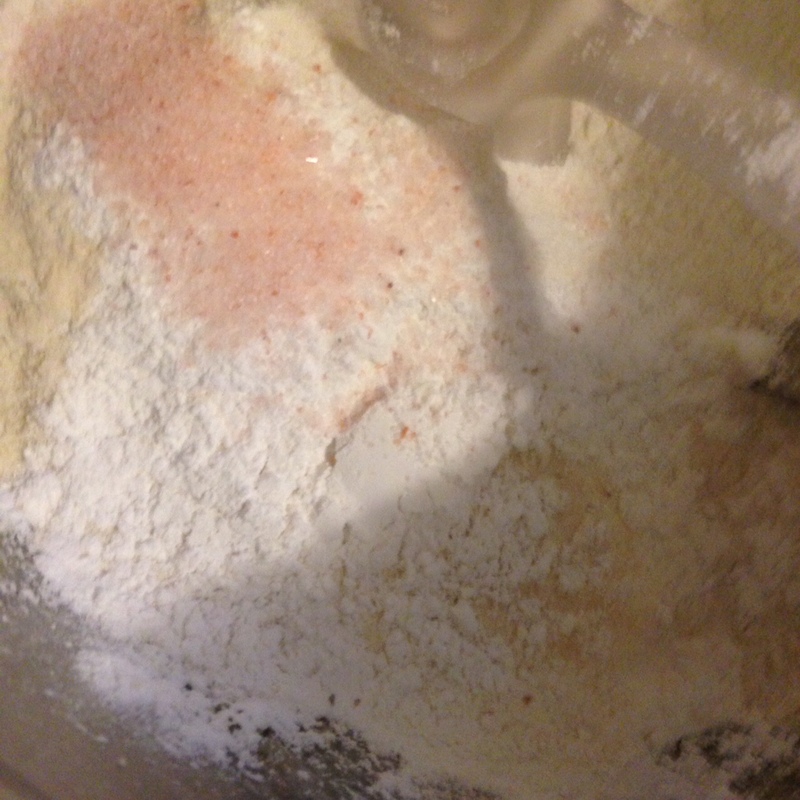 Mix together your brown rice flour, tapioca starch, xanthan gum, baking powder and salt and set aside. 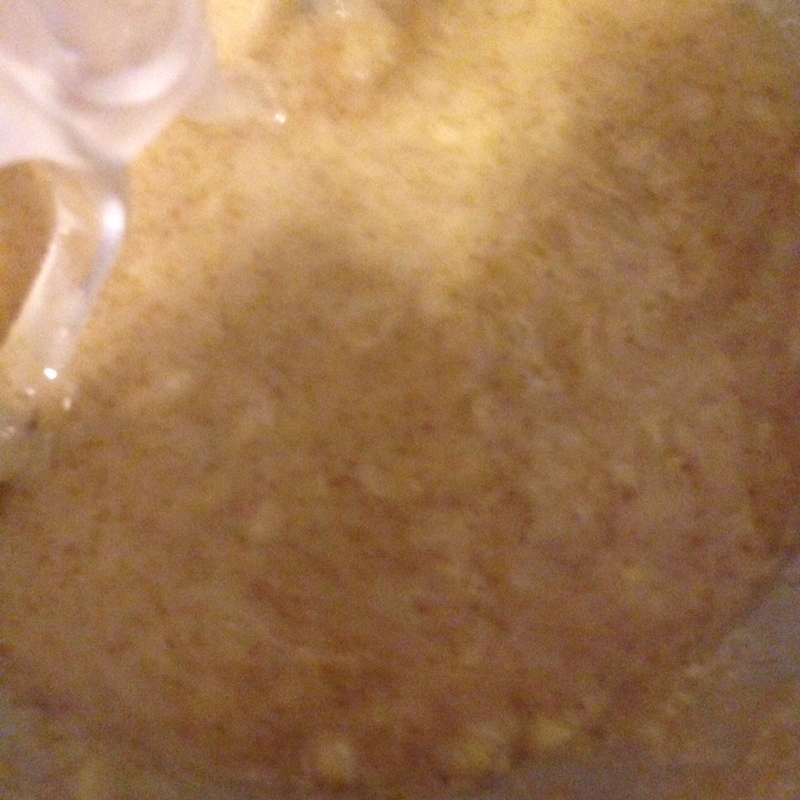 In the bottom of a mixer or mixing bowl mix together your sugar, bananas, egg, vanilla, coconut oil and milk. mix until your bananas are not so lumpy. Pour in your flour mixture and mix until just combined. Stir in your chocolate chips. You can do that with a spatula or the lowest speed on your mixer. Fill a pre-spray muffin tin about 3/4 of the way full (or you can use liners). Bake for 26-28 minutes or until a tooth pick is inserted and comes out clean (besides the chocolate). 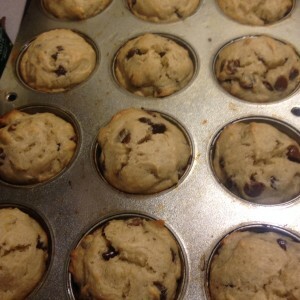 Let them sit in the muffin tin for a few minutes (no more than 5 minutes) and then let them finish cooling on a cooling rack. 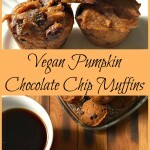 Serve warm with a glass of milk! These muffins are so yummy and I think being gluten free they taste even better (satisfaction!). I think I have maybe 4 left after making them yesterday. Yes they are that good! 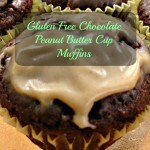 I cannot wait for you all to try them for yourself after you make them! Don’t forget to follow along on my adventures on Instagram (@notshabbygabby), Pinterest and Twitter (@not2shabbygabby) and like me on Facebook! I hope you have had a blessed start to your week! 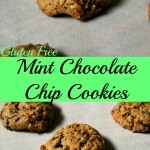 Gluten Free Chocolate Chip Cookies – Do They Taste the Same? Groan, you gotta stop, Gabby! Lol Now I’m craving these! Thanks for sharing on the Healthy Living Link Party. It has been pinned to our party board on Pinterest. Awesome! 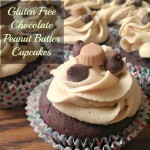 Thank you for sharing these at the Brag About It Link Party! Pinning!